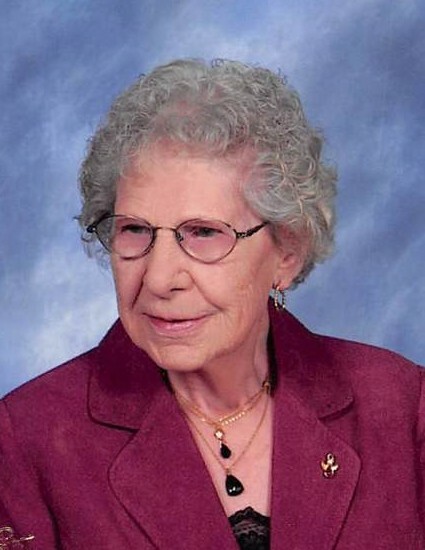 Funeral services for Rose A. Holty will be held at 1:00 PM on Friday, April 13, 2018 at the Bonnerup Funeral Chapel, Albert Lea. Chaplain Todd Walsh will officiate. Visitation will be from 11:30 AM until the time of the service on Friday. Interment will take place at Hillcrest Cemetery. Rose passed away on Tuesday, April 10, 2018 at Thorne Crest Senior Living Community. She was 100 years old. Rose Adeline (Opskar) Holty was born on May 30, 1917 to Knute and Johannah (Mooran) Opskar in rural Climax, MN. She was raised on a farm near Shelly, MN, and moved a few times before settling in Albert Lea in 1950, where she has been a resident ever since. On May 16, 1937, Rose was united in marriage to Howard Holty in Shelly, MN. To this union, the couple had five sons: Roger, Harold, Jerry, Richard, and Glen. Rose would work as a Nurse’s Aide at the Naeve Hospital, St. John’s Lutheran Home, and Thorne Crest Living Community. She would work for 25 years. Rose was a member of Salem Lutheran Church in Albert Lea. She was active in the church, where she participated in Red Hats, Mary Magdalene Circle, Sew and Tell, and sang in the choir. In her free time, she enjoyed playing the piano, helping others, and was most known for her baking. Rose was constantly making favorites such as: lefse, peanut brittle, banana bread, and would make mints for weddings, funerals, and graduations. Family was very important to Rose. She enjoyed every minute spent together with family. She is preceded in death by her husband, Howard; both parents; sisters, Alma, Dolly, Clara and Helen; brothers, Ervin, Kenny, and Henry; a great-grandson, Joshua James Wagner; and two infant great grandchildren, Marshall and Mitchell Behle. Those left to carry on her legacy include her children, Roger (Suzanne) Holty of Albert Lea, Harold (Eileen) Holty of Geneva, Jerry (Linda) Holty of Hastings, MN, Richard (Maxine) Holty of Albert Lea, and Glen Holty of Albert Lea; 13 grandchildren; 20 great-grandchildren; 13 great-great-grandchildren; as well as many other loving relatives and friends.